Seattle trailblazers Soundgarden were a law to themselves, edgy, dark and deeply individual. Their savage soundscapes, coupled with Cornells incisive lyrics and predatory roar, seduced audiences hungry for musical depth and complexity while leading trends in street fashion and iconic design. In 1989, they became the first Seattle band to sign to a major label. Their sound continued to change and evolve over the course of five pioneering albums. Celebrated side project Temple of the Dog had already shown Cornells more soulful side and introduced future Pearl Jam frontman Eddie Vedder to the world. Later, Cornell shocked the business once again with richly melodic, critically acclaimed solo album Euphoria Morning, swiftly recognized for its alienation and despair. And as the millennium turned, he joined with three other musical pioneers from rap-rocks Rage Against The Machine to create Audioslave - a multi-platinum supergroup which lived to deny its detractors, producing three top-selling albums, touring the world and becoming the first American band to bring rock to Castros Cuba. Since then, Cornell has redefined his sound and vision to encompass new music, new collaborations and new activities. 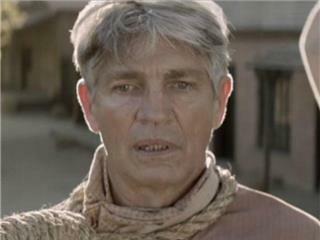 Having contributed solo songs to movie soundtracks from Great Expectations to Mission Impossible II, he became the first American male singer to write the theme song for the James Bond franchise in Casino Royale. His bold and bluesy reinvention of Michael Jackson dance classic Billie Jean courted controversy and attracted imitators. And his triumphant world tour brought together songs from every stage of his career, reinterpreting them for new audiences and blending their original fire with the shock of the new. Cornell fronted fashion designer John Varvatoss Spring 2006 collection, helped revive a historic Parisian restaurant/nightclub, the stylish Black Calavados, and forged the first-ever multimedia partnership between an artist and a commercial airline, Virgin America. 2008 culminated in an appearance at the Kennedy Center Honors Gala in Washington DC in front of the President. Cornell paid tribute to Roger Daltrey and Pete Townshend of the Who with a triumphant performance of their classic "Won't Get Fooled Again", which, according to the Washington Times, "brought down the house." 2009 saw the release of his latest solo album "Scream" while Chris continued to tour worldwide, co-headlining a European tour with Lenny Kravitz and playing his first-ever live solo show in Israel. Only the most confident would claim to predict exactly what comes next for Chris Cornell. Always eclectic, always experimental, his collaboration "Scream" with super-producer Timbaland who called the album the best work Ive done in my career took him into fresh territory, establishing a new sound and marking the creation of a masterpiece that breaks all musical boundaries. More recently, Cornell's studio collaborations with artists as diverse as Slash, Santana and Italian nu-jazz outfit Gabin have stood alongside intimate live shows showcasing songs from throughout his career. In August 2010, Soundgarden made a historic return to the live stage as headliners for Chicago's Lollapalooza festival, and have released retrospective album "Telephantasm" and "Live on I5", taken from recordings of their 1996 US tour. In Spring 2011 Cornell embarked on a sold-out solo acoustic US 'Songbook tour, followed by an acclaimed North American tour with Soundgarden in the summer. Chriss latest work is The Keeper, an original song written for the Marc Forster directed film Machine Gun Preacher, to be released by Relativity in September 2011. The song will also be the lead track on the films soundtrack album. 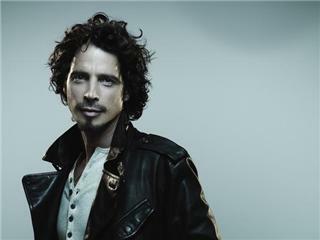 Only one things for sure Chris Cornell will continue to break rules, make history and challenge everyones expectations.